Learned About this from a fellow poet. What a great project. The mission of the APP is to improve the quality of life of people living with Alzheimer’s disease and related dementia by facilitating creative expression through poetry. We do not set boundaries in our beliefs in what possible for people with memory impairment to create. By saying to people with dementia, we value you and your creativity; we are saying we value all members of our community. Gary Glazner is the founder and Executive Director of the Alzheimer's Poetry Project, (APP). The APP was the recipient of the 2013, Rosalinde Gilbert Innovations in Alzheimer’s Disease Caregiving Legacy Award and the 2012 MetLife Foundation Creativity and Aging in America Leadership Award in the category of Community Engagement. The National Endowment for the Arts listed the APP as a “best practice.” NBC's “Today” show, and NPR's “All Things Considered” have featured segments on Glazner’s work. In 2013, the U.S. Poet Laureate, Natasha Trethewey, choose the APP for the initial broadcast of her PBS NewsHour series, “Where Poetry Lives.” Harper Collins, W.W. Norton and Salon.com have published his work. Glazner is the author of “Dementia Arts: Celebrating Creativity in Elder Care,” on Health Professionals Press, 2014. To date the APP has held programming in 26 states and internationally in Australia, Canada, England, Germany, Poland, and South Korea serving over 35,000 people living with dementia. Dr. Kaplan is a clinical social worker with expertise in mental and neurological disorders. He earned his doctorate at Columbia University School of Social Work and now has an NIMH-funded postdoctoral research fellowship at the Institute for Geriatric Psychiatry at Weill Cornell Medical College. His research plans include both intervention and implementation studies that will optimize care services, clinical interventions and supportive environments for older adults with mental and neurological disorders living in the community. Dr. Kaplan is the former National Director of Social Services for the Alzheimer's Foundation of America, where he supervised a team of social work clinicians, designed and managed service programs, and worked closely with program innovators from around the United States. He has also worked in an Elder Protective Services and Elder at Risk program-conducting forensic investigations and extensive interventions on behalf of the Commonwealth of Massachusetts. He recently developed and continues to teach a course, entitled "Social Work Practice with Individuals with Dementia and their Families," for graduate social work students at Columbia University. He holds clinical social work licensure in New York and Massachusetts, as well as an NASW certification in advanced gerontological clinical social work. In addition, Dr. Kaplan currently works as a consultant program evaluator for the Hartford Geriatric Social Work Initiative, the Hartford National Center for Geriatric Nursing Excellence, and the Geriatric Social Work Practice Fellows Program. Jennie Smith-Peers is the Executive Director of National Center for Creative Aging, a national service organization that is a catalyst, conveyor and connector, promoting research and public policy that enables the development of evidence-based best practices and model programs in the field of creative aging. She was the Executive Director of Elders Share the Arts from 2010 to 2016. Before ESTA, she led parallel careers as a professional actress and administrator in aging services. She is an alum of We Are All Brooklyn Fellowship (2011), and of New York City’s Arts and Business Council’s Leadership Institute (2012). She holds a BFA in Acting from Emerson College, and is currently finishing her graduate degree in Drama Therapy from NYU with a focus on the impact reminiscence in late-life depression. 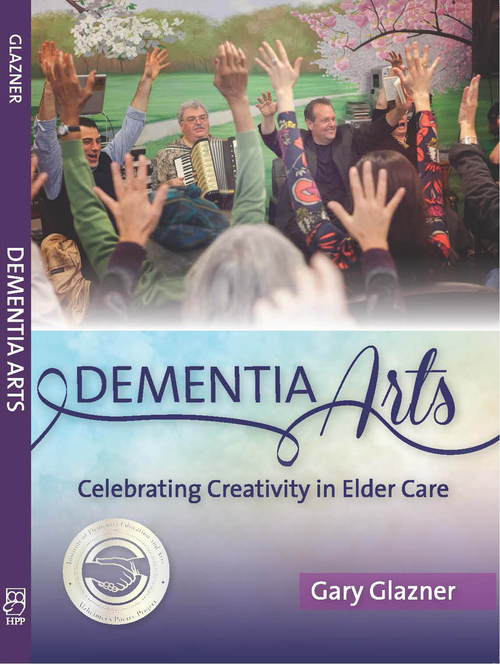 She is a guest lecturer for CUNY’s Applied Theater Program, and has been a trainer for numerous arts and aging organizations, locally and nationally, on the best practices of creative aging and how to build sustainable arts programming for older adults. She is a Board Member on the State Society on Aging, a member of Release Aging Prisoners Project, and a founding member of Emerging Professionals in Aging NYC in partnership with American Society on Aging.